Understanding every aspect of your medical aid scheme is very important as you would be able to use it to its full potential. If you are shopping around for a medical aid scheme for you or your family, familiarizing yourself with the terminology and jargon used will help you choose the best possible option for you. Day-to-day cover would refer to the coverage of all out of hospital expenses and limited day-to-day cover would mean that you have a limited budget for these expenses. 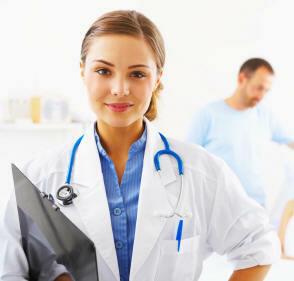 There are two main options that are on offer when you are looking at different medical aid schemes. The first option would be a medical aid that uses a medical aid savings account for out of hospital expenses. The second option is called a capitation plan. A medical savings account is a pool of your money that is kept separate in an interest bearing account. You would be covered for all day-to-day medical expenses limited to the amount available in the account. Contributions to this account are completely tax deductible and they would accumulate and roll over each year until you use them for day-to-day medical expenses or terminate your membership. If you do terminate your membership then all funds available in the medical aid savings account would be paid out to you. A capitation plan also provides limited day-to-day medical cover. When you have a capitation plan, the plan would clearly define exactly how many visits you would be covered for or it would specify a particular amount that you would have available for day-to-day medical expenses. The right option for you would depend on many different factors. Consider things such as how many dependents you have and what amount of day-to-day medical expenses your family incurs regularly. Remember that most medical aid schemes will only cover medical expenses such as prescription medication and doctor’s visits. Non- prescription medication and alternative health practises are generally not covered by the limited day-to-day benefit. It is very important that you find out exactly what is covered by a particular medical aid scheme before you make any decisions about which option is the right one for you. This is because the exceptions and limitations of a medical aid scheme may differ quite a bit from one medical aid company to another. If you are on a tight budget and lead a healthy life then you may also consider opting for a medical aid scheme that excluded day-to-day cover completely. This type of plan is also known as a hospital plan and would generally only include hospital, emergency and chronic cover. If you are a healthy individual and lead a healthy lifestyle without much need for day-to-day cover then you should definitely consider this more cost effective option. This is usually best suited to young professionals or young couples who want to manage their risk and plan for the unexpected without spending too much money in the process.